Our company is one of the winners of the audit of the food of the All-Polish Promotional "Appreciate the Polish" Program. 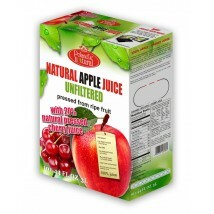 Natural apple juice of this manufacturer was awarded a certificate "Appreciate the Polish" was awarded as TOP PRODUCT. 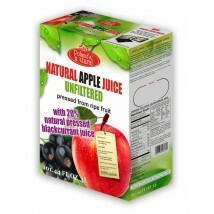 Awards were granted based on assessments granted the food by experts from the food industry. Honorary patron of the "Appreciate the Polish" program is Minister of Agriculture and Rural Development. 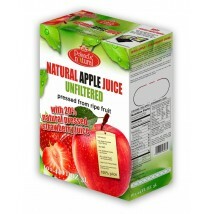 Juice from Sandomierz as TOP PRODUCT of "Appreciate the Polish" program. A Group of Fruit and Vegetable Producers located in the Sandomierz is one of the winners of the XVI food certification carried out within the framework of the All-Polish Promotional "Appreciate the Polish" Program. During the audit, which took place on 29 April in Czeladź, food industry experts assessed the products participating in the program and honored these which were distinguished by suitable taste and the appearance, and also the price corresponding to the quality. 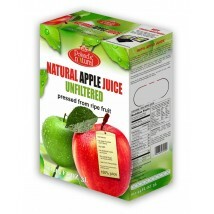 Among foodstuffs, which have been given the prestigious "Appreciate the Polish" certificates was Natural Apple Juice of the company from Sandomierz. 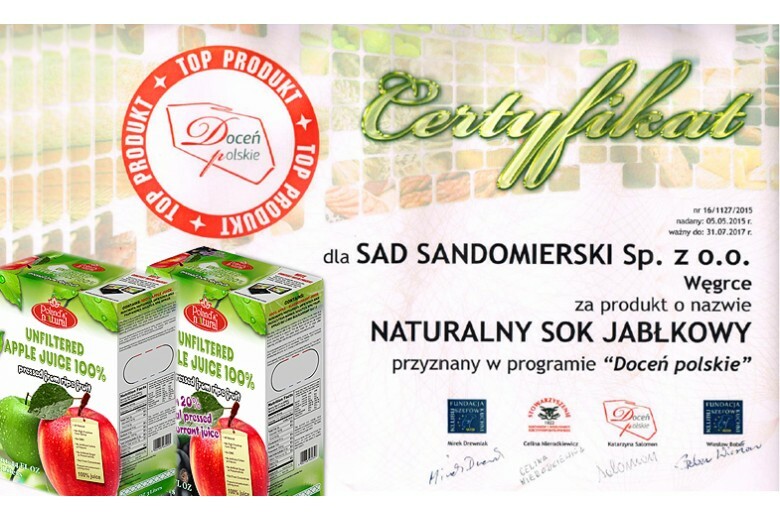 Rarity/ titbit/ delicacy received the maximum number of points, therefore, it was awarded not only the "Appreciate the Polish" certificate, but also the title - TOP PRODUCT.